My father, Leslie Willson, had a long, distinguished career as a professor of Germanic languageswith a special interest in contemporary German arts and letters. (His DIMENSION literary magazine, 19681994, is famous in the field.) 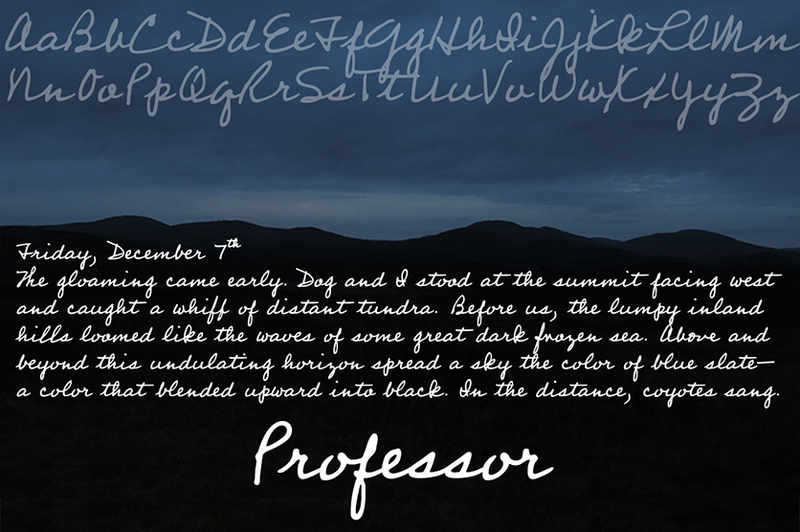 About the time he retired from teaching, he also retired from writing in longhand after I turned his script into a digital typeface. Professor is a slightly modified version of my father’s cursive hand, a good, strong, helpful, friendly, personable handmuch like the man himself. Comes in a single, medium-weight style. US$39.